Many thanks to all of the co-organizers, participants and supporters! The working languages at SIGI 2012-1 were Bulgarian and English. The contributors of this edition were international (studying/working or having some kind of business or scientific relationships with UK, Italy, USA and Bulgaria), but we were all Bulgarians so even though some of the presentation slides were in English, we discussed in Bulgarian. Initially about 4-5 more participants were expected to attend physically, however some of them didn't make it for one reason or another. Probably they will join us in the following editions. We want to make it soon, possibly in a few weeks or a few months and will have a more flexible form, I will tell about it later. The next edition will be more open for international participants and probably will be semi-online, to allow more people to attend and participate with less efforts and possibly zero expenses. Stay tuned for updates and details about participating in the next event of the independent SIGI/AGI society! Petar is a Team Leader (equivalent to U.S. Assistant Professor) at the Advanced Robotics department of the Italian Institute of Technology (IIT), located in Genoa. 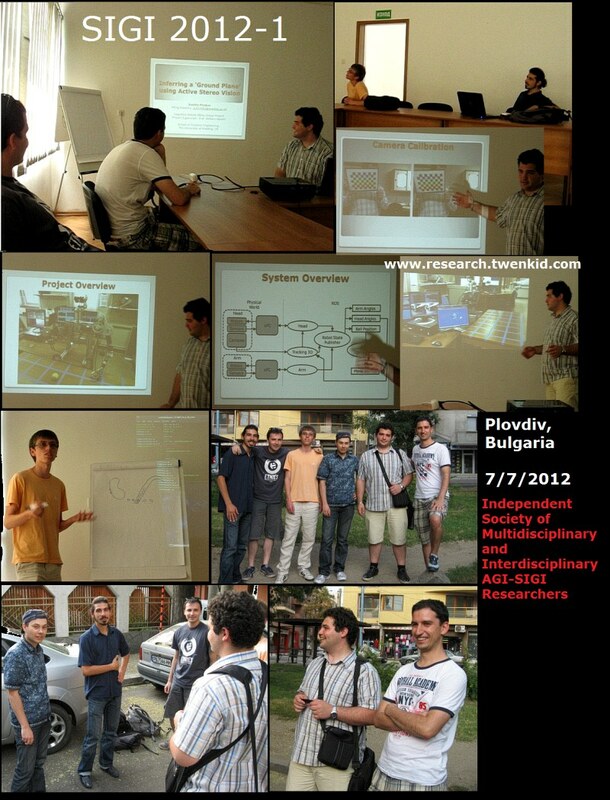 Svetlin will be last year MS Student in Robotics in Reading, UK. 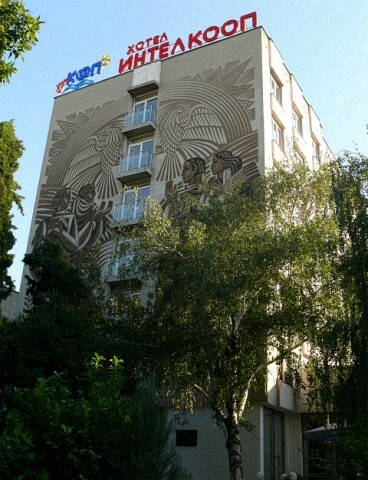 He also works in Bulgarian Academy of Science. Orlin works in the Bulgarian Academy of Science in the Robotics Department. Georgi is an applied mathematician and a software entrepreneur, he spoke about his thesis in the field of numerical methods and complex polynomials. Alexander is an experienced software developer and an entrepreneur who's a supporter of the AGI, singularity and transhumanism research and trends. 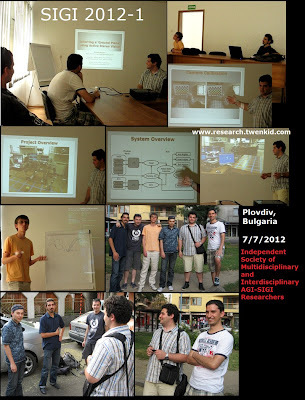 Todor - I presented shortly aspects and principles of the paradigm of sensorimotor generalization that my works and school of thought supports and discussed ethical issues on AGI and transhumanism -- was a short, will continue in the following edition. PS. Colleagues, add your comments, if you wish. I may post a Bulgarian version, too, or if anybody is willing to post such a news anywhere - post a link, please. PS2. See also the forum: AGI/SIGI forum - It's still almost empty of content, but full of categories.